﻿ Elenor's Home, Bandung | FROM $5 - SAVE ON AGODA! "Always like this hostel, nice room with private bathroom, de..."
Have a question for Elenor's Home? 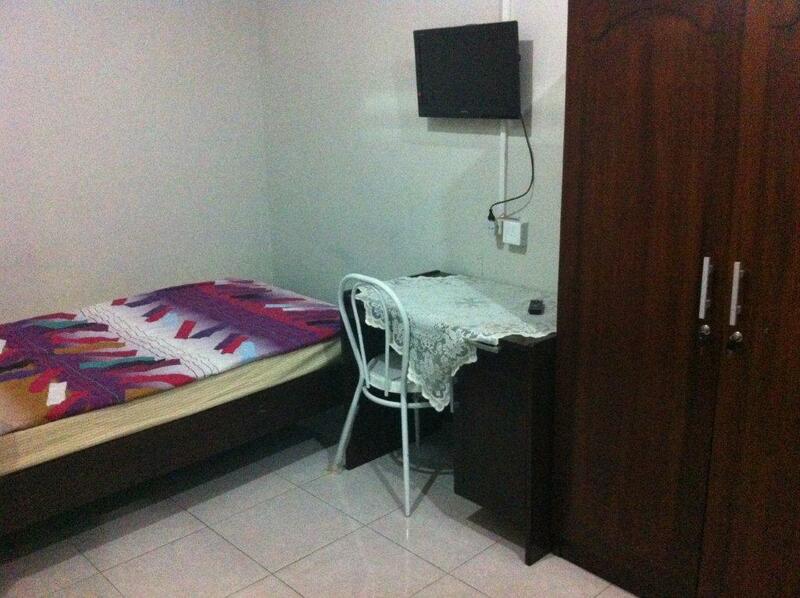 "Good place close to the shopping malls and close to public transport." "It has easy access to lots of great tourism sites." "the breakfast was superb delicious and a lot." 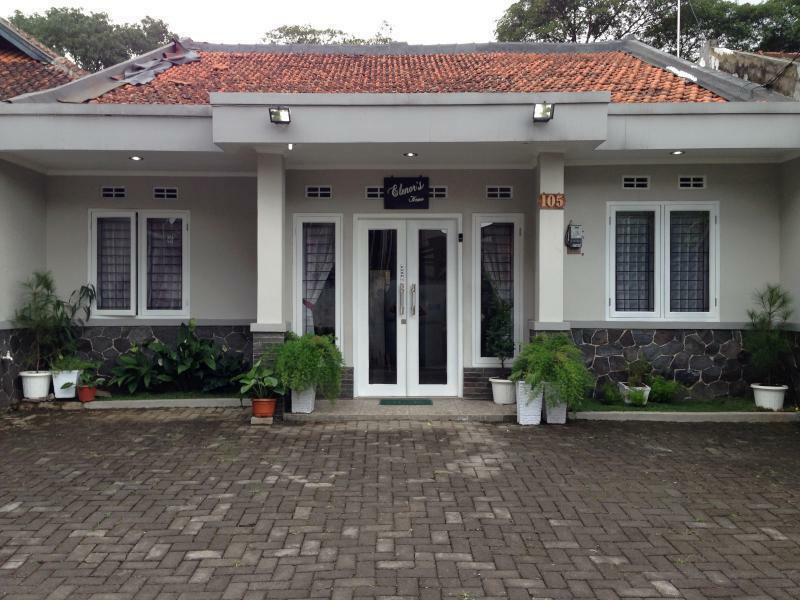 Ideal for fun and relaxation, Elenor's Home is located in the Cihampelas area of Bandung. From here, guests can enjoy easy access to all that the lively city has to offer. A well-kempt environment and its proximity to Sentosa Hospital, Adventist Hospital, Rumah Sakit Advent give to this hotel a special charm. At Elenor's Home, the excellent service and superior facilities make for an unforgettable stay. The hotel offers access to a vast array of services, including 24-hour room service, free Wi-Fi in all rooms, 24-hour front desk, express check-in/check-out, luggage storage. Guests can choose from 7 rooms, all of which exude an atmosphere of total peace and harmony. The hotel offers many unique recreational opportunities such as garden. Elenor's Home is an ideal place of stay for travelers seeking charm, comfort and convenience in Bandung. "(+) Satisfying breakfast (local food), all-day mineral water..."
This guesthouse has just 7 rooms, so it feels very familiar. 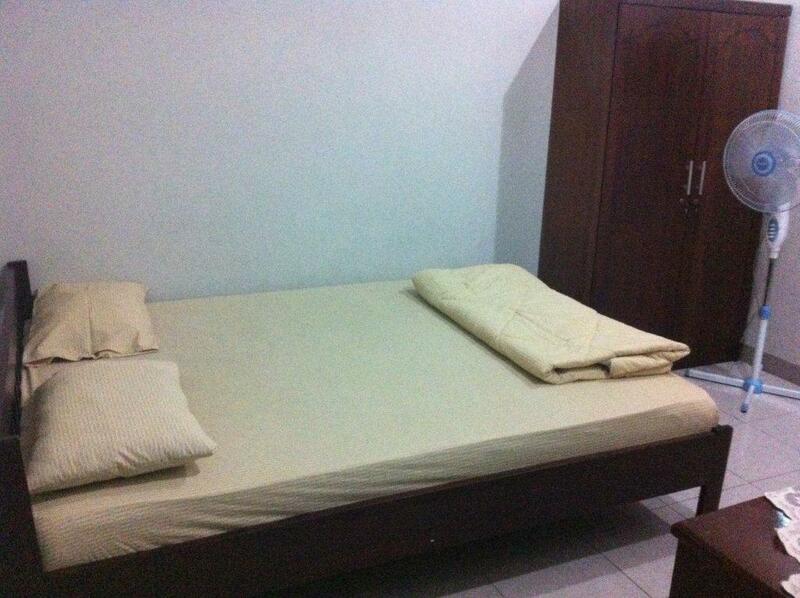 It has a nice homy atmosphere, located in a quite small street so it guarantees you a good sleep. The room itself is a bit outdated but well maintained, spacious and light. The only negative is a bathroom which lacks a sink, but otherwise it's fine. The staff is amazing, breakfast is typical indonesian and varies every days. It's very tasty! There is also a water fountain, tea and glasses you can borrow. It's an awesome value for money! I'd stay there again. The road to this hotel is narrow, sometimes the taxi driver hesitate to come into, but actually the car can go to this place.. the room is just clean.. the price is worth it if you need a place to sleep 1 or 2 nights.. you get free breakfast (rice and other stuff) every morning..
THUMBS UP! we checked in really late, around 12 am. at first, i was scared the owner would locked the door or delete our booking or show us that mad-dog face but she welcomed with the warmth smile. and the breakfast was superb delicious and a lot..it is walking distant to chimps walk and surrounded by local community. there is pasar ( wet market ) nearby. i felt like local during my short stay. :') awww.. i miss bandung and its people. will come again soon! oh btw, the owner was pregnant then, i hope she is fine now and the baby is doing great. god bless both of u! Facilities are not the greatest and there is a good chance of spotting one or two insects in your room, but if you're looking for a super cheap place to stay with helpful staff and good breakfast included this is the place to go. Good place for one or two nights and definitely value for money. The room had a moldy smell. The staff was smoking within the premises. Naturally, everywhere smelled like cigarette. The toilet was equally scary and unhygienic. But you get what you pay for. If you want to explore the Northern part of the city, you should stay here. It has easy access to lots of great tourism sites. It's also close to some affordable factory outlets. With a cheap budget, you get what you pay: a decent room to rest, simple but neat facilities, and to add to it a free breakfast, although with a rent pay this low you can afford to buy other breakfast choices in the vicinity. It's a cheapest guesthouse in the area so you get what you pay and can't complain about it . But if you coming for shopping to Bandung and need place for night or two to sleep so I think for that location and price you can't find anything better . Agoda give me good deal so I upgraded to double room so will have big bed :) Next time when come todo shopping will stay again at the same place . I miss my breakfast because had go to airport so can't say much about it . this is not a hotel more of a rented room in a very simple house. the location is difficult to find but it's near ciwalk. the rooms were not upto hotel standard as they are dump, dark and dirty. it's not smoke free so not recommended for non smokers. the breakfast was very simple no bread, just basic Indonesian food. Kind staff, nicer local breakfast and good location to shop. (+) Satisfying breakfast (local food), all-day mineral water, coffee and tea. About 10 minutes walking to Cihampelas Walk. (-) Dim bedroom and bathroom lights. We stayed at the front most room (window facing the parking lot), at night there was I guess a beetle or some insect that made a very loud noise at night. When we asked the staff to help check, the staff stopped at saying "we're not sure what it is". We ended up having to go outside ourselves and flush the area under the window to get rid of the insect. I stayed there for 3 nights with my friend, so we divided into 2 for the fees. Value for money, but the location is very poor. Eventhough I went there finding for the location with the taxi driver, I still lost at the area and finally the staff willing to fetch me at the roadside. For the cleanliness, the toilet was not too clean and quite smelly, but still ok to take bath and so on. Besides, there was no basket/small bin inside in the room for us to throw our rubbish. Just got a small bin outside the room. The hangers provided also should be increased. There was also no qiblat sign at the ceiling for guiding the Muslims to pray, I asked the staff and he told me. There was also no duplicate keys for the room, so me and my friend were having difficulties when going out. The sounds of barking dogs beside my room (no 1) were noisy and so disturbing. The breakfast served was nice for me but not for my friend. Hopefully the owner can upgrade/improve the guest house for better outlook and to be more condusive to be stayed by locals/foreigners. Thanks so much! The location is hard to find because it is located inside a small lane. Luckily, I could direct the taxi driver into the lane with the help of Google Map. Otherwise, I might no find it. No shampoo and soap provided. No basin in the toilet. The toilet was old an the drainage was smelly. The floor mat provided was very dirty with black stains all over as if it had just dropped into a drain. The breakfast is mediocre. At least the hot water in the shower worked fine. The room was not too cold or hot. Towel was provided. The staffs were friendly and helpful. Besides the already mentioned (the location is easy to find and near the main street, the room is cool even without air conditioner, bathroom is clean), I like that they provide towels and hangers inside the room, and the hot water is 24/7. Oh, and the breakfast is decent, for that price. But during my stay I couldn't help but notice the shower-handle screw is loose, the room lightning is poor, and the room (walls) is a bit humid. So... I'd say 6,5 out of 10 for Elenor's Home.